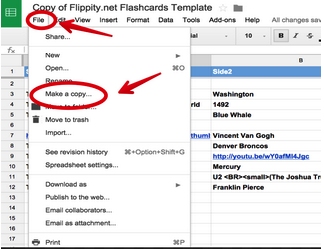 Flippity is a powerful web tool that you can use with Google Spreadsheets to perform a variety of tasks. In the last post we published here we talked about how to use Flippity to create Flashcards and we visually demonstrated how teachers can go about creating their own flashcards using this tool. Today, we are sharing with you another great functionality provided by Flippity. 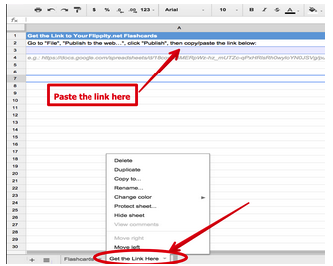 This time you will get to learn how to use Flippity to create a Quiz Show from a Google Spreadsheet. 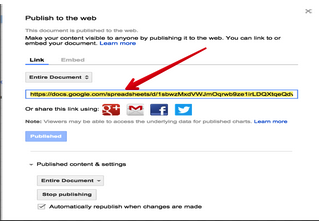 Click here to see a demo. 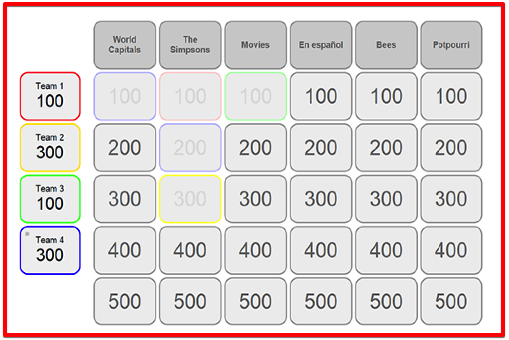 1- 1- Click on this template and copy it to your Google Spreadsheet by clicking on "file" and " make a copy"
2- Now that you are on the copied version of that template, edit the text and type in the data you want to include in your Quiz Show. 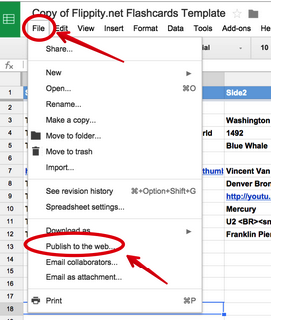 3-Publish your sheet by clicking on "file " then "publish"
N.S: Correction: The source of this tool is Free Technology for Teachers and not Weebly as was initially stated. We deeply apologize for Richard Byrne for this mistake.